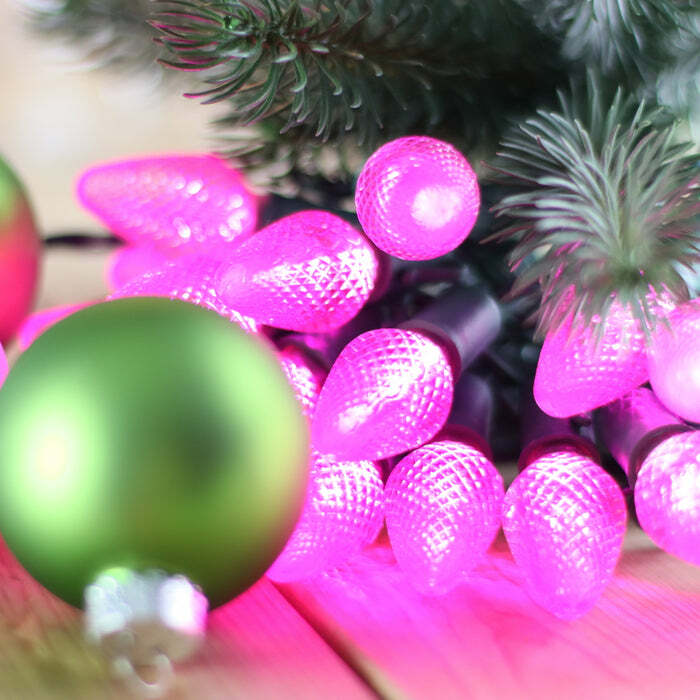 These C7 pink LED Christmas lights can be used in many ways to bring fun to your life's events. Here are just a few ideas. 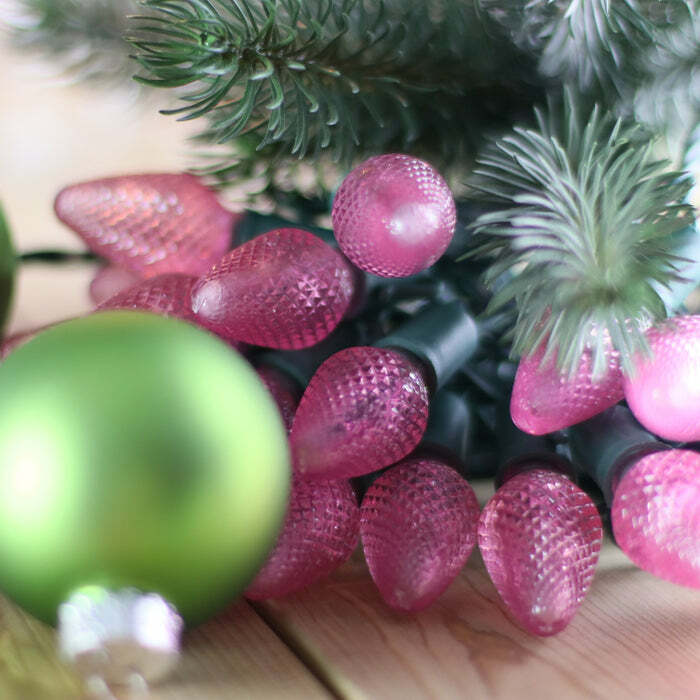 Decorate your daughter's room - who wouldn't feel more like a princess with pink lights? Mix these larger C7 lenses with LED mini lights strings on your tree to add depth and dimension to your lighting. Add pink and silver ornaments and bows for a Christmas tree that will wow your guests and family. 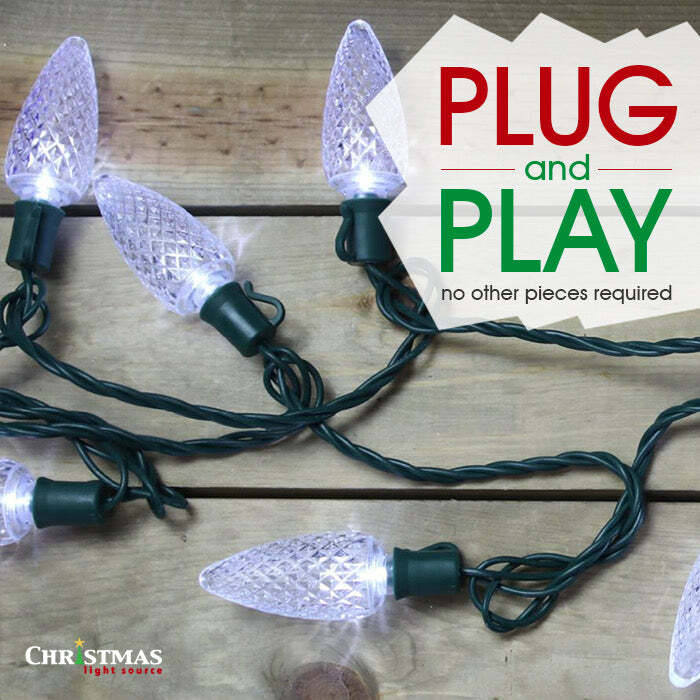 LED Christmas light strings have virtually no heat output and you can run up to 87 strings without an additional outlet. That's over 1300 feet of pink power! Plug all LED products into an outdoor rated surge protector. Loved these lights! They're very vibrant. Just wish the strands were longer but worth it!